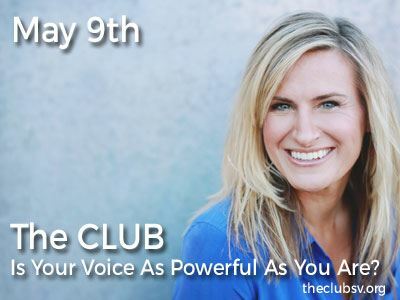 The CLUB - Incubator of Women Leaders - Is Your Voice As Powerful As You Are? Is Your Voice As Powerful As You Are? This event is co-sponsored by SunLaw and the CLUB Silicon Valley. Voice is our primary way of connecting with others. It is how we extend who we are out into the world. What we value, our ideas, and what we bring to the table all come through the vehicle of voice. Yet, very few understand how to use the power of voice effectively. Worse, many have unconscious habits, both verbally and non-verbally, that undermine their authority, negatively impact their message, negatively impact the way they are perceived and ultimately keep them from having the success they desire. How we show up verbally leads people to definite and immediate conclusions about how we show up in the world. How we say it is far more persuasive than what we say. Your listeners decide in just seven seconds. Simply put, there is a strong relationship between vocal acoustics and the psychology of perception: who we are as individuals, our personality, our strengths, what we bring to the table and also our weaknesses are unmasked in the voice. 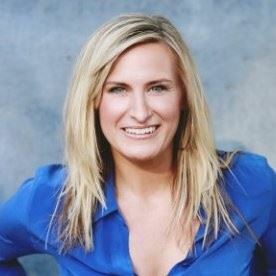 Hillary Wicht is a voice expert who has been tapped as a specialist by the Wall Street Journal and the Stanford Entrepreneurial Graduate Program for her work on the impact of gender communication styles in the corporate sector. Her expertise incorporates the technical elements of voice and body language as it relates to the fundamentals of human psychology and neuroscience to help executives develop a voice and presence that maximizes their influence and drives results. In this experiential workshop, she will unveil the ways in which women unknowingly give up their power through the way they communicate. She will uncover the most common "power-leaks" in female communication styles and give insights and tools for communication "power-plays," so you can have a voice at the table that's as powerful as you are and be the leader you are meant to be in your business, community, and the world.